If you answered yes to this question, I get it. Marriage is hard work. But the problem isn’t that marriage is too hard; the problem is we didn’t fully understand what marriage entailed when we stood on the altar giving our vows. I have a feeling that if all pre-marriage counselors addressed this issue before the wedding there would be fewer marriages and those that made it would succeed. You see our society has placed an unrealistic expectation of what lasting love looks like. It’s not a happily ever after–although it can be. It’s not a bed of roses with sparkling champagne, although it may happen from time to time. Marriage is the joining of two different people for the purpose of our holiness, not necessarily our happiness. What if one of you has a debilitating injury and becomes completely dependent on your love and care? Would you want to quit? What if your spouse is unfaithful to you? Would you walk out the door? What if you have a child that has special needs and you realize it’s a lifelong commitment to love and care for them? Would you leave? What if you find out your spouse is unable to have children? These are a few of the hard questions he confronts them with to crack their rose-colored glasses. Only God knows what life holds in store for a newlywed couple, and most of them only see the “better” not the worse the future may hold. Marriage is hard work, but when it endures by God’s sustaining grace for His glory, it is a beautiful thing! We pray that wherever you are on your marriage journey that you will stay committed until death parts you. If your marriage is in a good place, work hard to keep it growing in the same direction. If your marriage is in a rough spot, find the help you need to get you past the trouble. If your marriage has been difficult from the beginning and you don’t know where to begin, start with your own heart humbled before God asking for His wisdom and mercy. 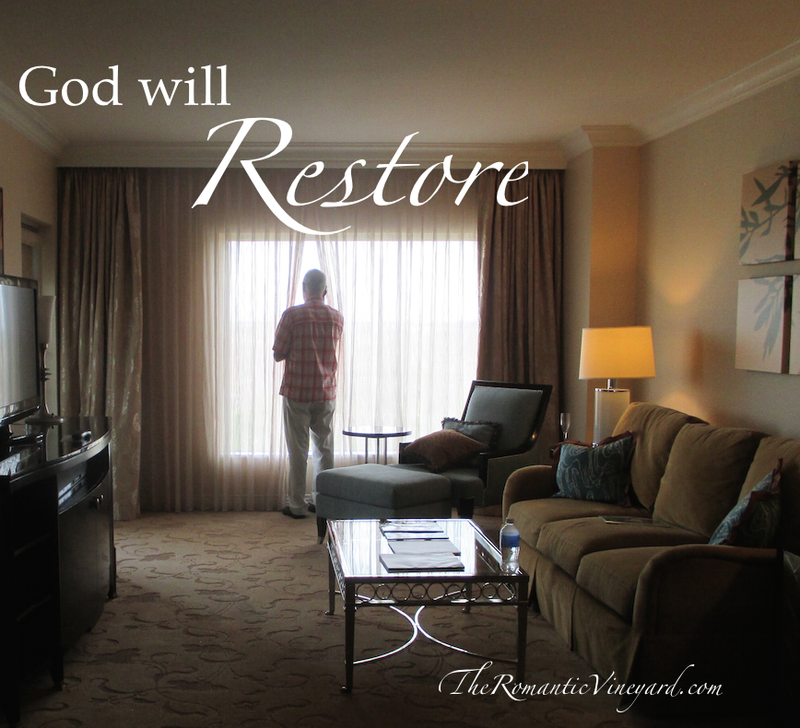 God is in the business of restoring broken relationships. It’s never too late to renew those vows no matter how many years it’s been since you spoke them. Chris August wrote a song that inspired this post. Take a few minutes and let the words seep deep into your soul. Your marriage will thank you! This entry was posted in Christian Marriage, Difficulty, Growing Strong Marriages, Troubled Marriage. Bookmark the permalink.